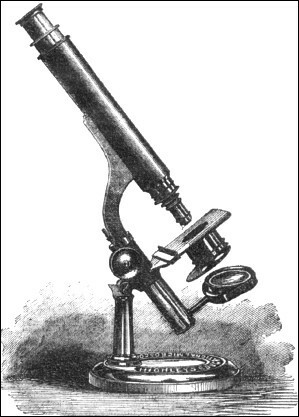 Highley's Educational Microscope Compendium. c. 1865. 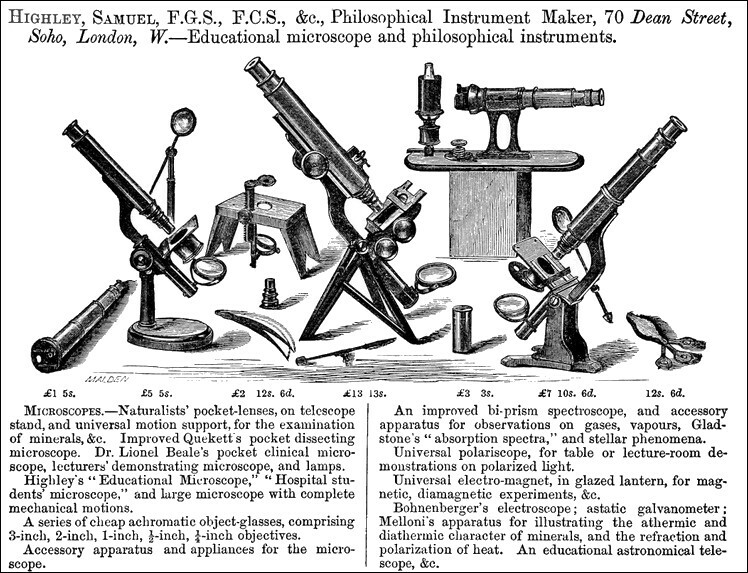 This is an interesting example of Highley's Educational Microscope Compendium. c. 1865. Two microscopes are stored within the main case. 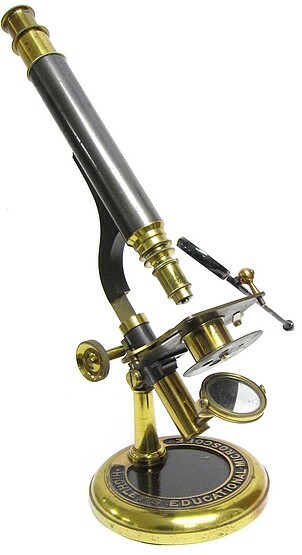 One being Highley's Educational Microscope having the coarse focus utilizing a fusee chain drive. 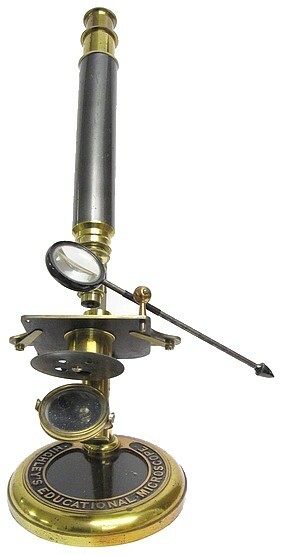 The other microscope is a case-mounted aquarium microscope.The optical components are interchangeable between each of these two instruments. The remaining section in the storage case houses some slide making tools and slides. 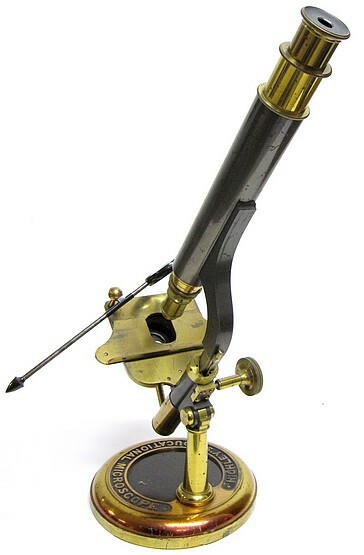 In How to Work with the Microscope, lectures by Lionel Smith Beale-1861, it is implied that some microscopes designed and/or sold by Samuel Highley were manufactured by William Ladd, London. 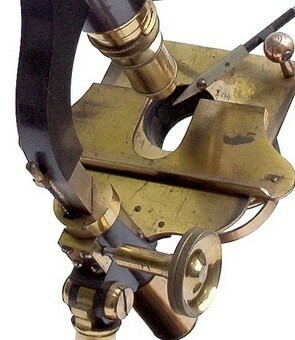 Ladd first introduced the use of a fusee chain focusing mechanism for microscopes in 1851. Samuel Highley (1826-1900) was a London-based instrument maker, publisher, and photographer active from the mid 19th century. 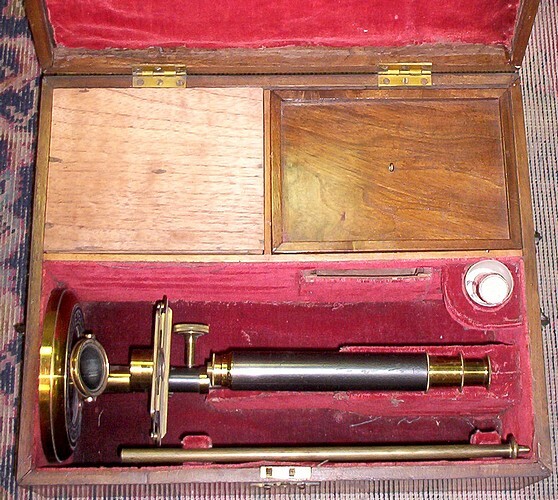 This microscope was found cased with a separate Aquarium Microscope which uses the same optics.